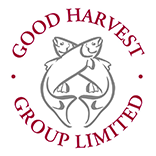 Our website address is: https://www.goodharvest.co.uk. The personal data you provide to us through our contact forms include: first name, last name, email address and phone number. We keep contact form submissions for a certain period for customer service purposes, but we do not use the information submitted through them for marketing purposes. details of your visits to the Site including, but not limited to, traffic data, location data, weblogs and other communication data, whether this is required for our own purposes or otherwise and the resources that you access. We may collect information about your computer, including where available your IP address, operating system and browser type, for system administration. This is statistical data about our users’ browsing actions and patterns. It does not identify any individual. When someone visits www.goodharvest.co.uk we use a third-party service, Google Analytics, to collect standard internet log information and details of visitor behaviour patterns. We do this to find out things such as the number of visitors to the various parts of the site. This information is only processed in a way which does not identify anyone. We do not make, and do not allow Google to make, any attempt to find out the identities of those visiting our website. For more information on Google Analytics cookies, see the official Google Analytics page Google Analytics page.